BIG NEWS! 3 ways to WIN! Let's do this! 1. We're giving away TWO Franklin Barbecue briskets (7-10 lbs each)! This is like gold, y'all. The TWO fundraisers who raise the most $ between 5:00 AM Thursday (4/18) and 5:00 PM Friday (4/19) will EACH win the most coveted, long-line inducing, "make your tongue slap your brains out" brisket in all the land. There's $1,500 towards participants' fundraising up for grabs at Field Day! **Everyone competes as individuals. ** Winners can apply their $ winnings to any participant or team. 6 games. $250 in winnings per game. $1,500 total! Thanks, Gilead Sciences, for this generous boost to our participants! 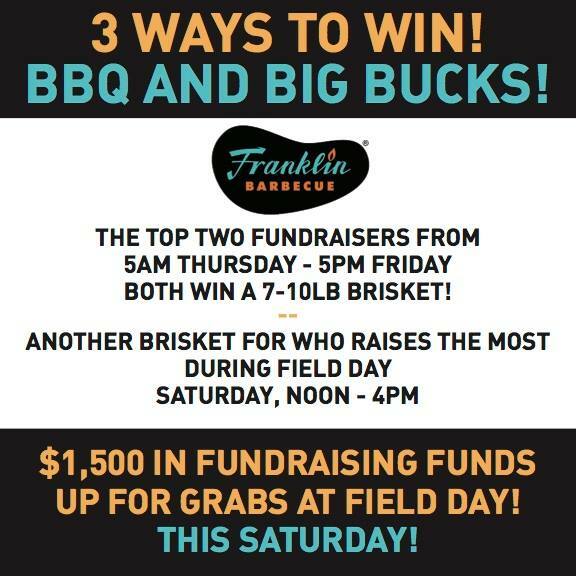 The participant who raises the most money DURING Field Day wins another Franklin BBQ brisket!! Between Noon and 4:00 PM on Saturday, the participant who raises the most funds (you don't have to be at Field Day, but we're hoping people will share their progress to motivate donors) WINS! Be a part of something beautiful!! Register today - or donate to help someone in need! 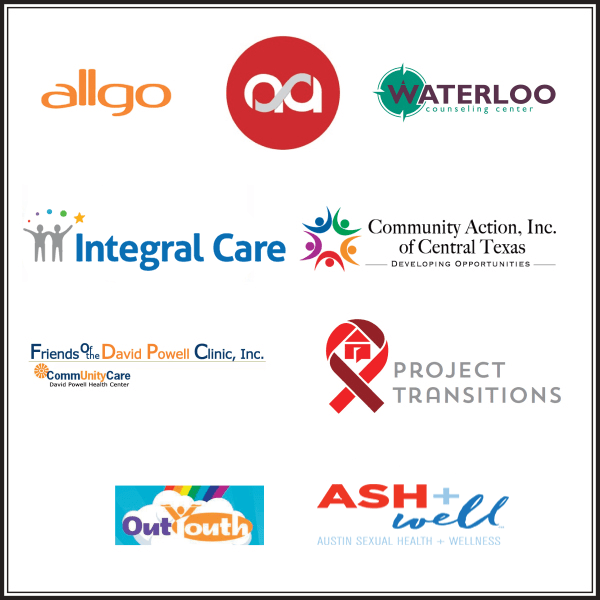 The funds we raise help these organizations provide a continuum of critical HIV/AIDS services that include: prevention/education, medical care, housing, hospice, dental care, transportation, food pantry, case management, HIV testing, financial assistance, practical support, substance abuse and mental health services.